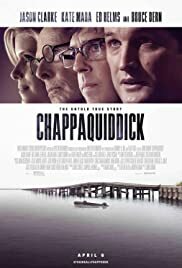 Better late than never that the true story of the Chappaquidick coverup gets major attention. For the Kennedys, laws and rules were always for the little people. I'm of a generation old enough to remember Chappaquidick. It's good that the younger crowd gets to see how the Kennedys operate. Disgusting how Ted, backed by his army of fixers and p.r. hacks, portrays himself and his family as victims, when he was responsible for a young girl's death. My only complaint about the movie is that it's too kind to him, leaning on the "dad made me do it" and the myth of Kennedy family devotion to "public service." As a resident of Massachusetts I am ashamed that after this miscarriage of justice the voters of this state re-elected this execrable miscreant. By the way it's been reported that "powerful people" tried to stop the release of this movie.